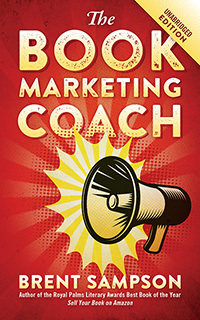 Brent Sampson’s “Sell Your Book on Amazon” is the book I have been waiting for so I can understand how Amazon ranks my books and how I can better promote my books on Amazon. As an author myself, my books have been listed on Amazon, but I had no idea I had any control over how popular they could become. While I had already been doing a couple things Brent Sampson suggests, primarily writing book reviews, I learned there is a great deal more I can and should do. Brent Sampson takes us step-by-step through the jungle of Amazon. He explains to us about creating an Amazon-Connect account, which includes a profile to show up on your book-detail pages. He explains in detail all the aspects of the Book-Detail page for a book. And he provides instructions for all those features on Amazon such as writing book reviews, participating in listmania, creating tags, and “So You’d Like To” guides. Throughout the book, he gives excellent advice. Not being the most computer-savvy individual, I never would have figured out on my own the many features he discusses. 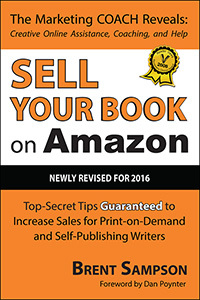 I guarantee “How to Sell Your Book on Amazon” will sit by my computer for a long time and be frequently referred to as I learn to use Amazon to my advantage. My greatest revelation from reading “Sell Your Book on Amazon” is that Amazon is not only a bookstore but a networking site for authors. I have already been promoting my book at other sites like Myspace, Facebook and Shelfari, but I now realize Amazon is a fantastic networking site to meet readers, and to group and associate my book with other similar and more popular books in my subject area. I am guessing it is far more effective and lucrative than those other sites as well. I would say “Sell Your Book on Amazon” is 95% user-friendly. I actually sat at my computer and followed the steps on Amazon as I read the book, so although the book is only 164-pages long, it took me a good week to read through it, spending a few hours each night working on my author profile and creating tags and lists on Amazon. I did get a bit confused at times, but I think that’s because Amazon may have changed the placement of a few things on its website. I hope Mr. Sampson is diligent about keeping the book updated because I think it is already a bit out-of-date in one or two places because of Amazon’s website changes. The only addition I wish the book had was a chart listing all the different addresses for Amazon programs—Amazon-connect, a seller-account (part of Amazon-connect), an associates account, and the different email addresses to contact Amazon depending on the section you need help with. My head rather swam as I grew to realize you don’t just have one Amazon account, but probably several different ones depending on whether you’re selling or directing traffic from your website to Amazon, or simply purchasing from Amazon. I did greatly appreciate the several pages in the back of the book designated for notes. I now have several pages of notes for quick reference when I need to perform a task on Amazon. 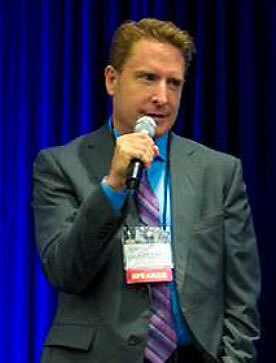 Brent Sampson also recommends authors tell people to go to Amazon and write 5 star reviews for their books. He even asks the reader to write a five star review for “Sell Your Book on Amazon.” I am happy to comply with his request, and at the same time, follow his advice that I sign my review with a plug for my own book. – Tyler R. Tichelaar, author of “Iron Pioneers” available on Amazon. 2011 Update: Since this review was written in 2007, it obviously refers to the first edition of Sell Your Book on Amazon. 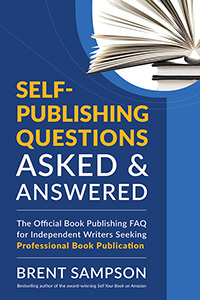 Last year I released the long-awaited second edition, which updated some of the changes and new offerings at Amazon, most specifically the replacement of Amazon-Connect with Author Central and the introduction of the Kindle and its publishing platform. The latter, of course, allowed us to introduce another new service-of-convenience for all self-publishing authors: The Amazon Kindle edition. * Originally posted on self-publishing.blogspot.com on September 9, 2007. To see why, click here.